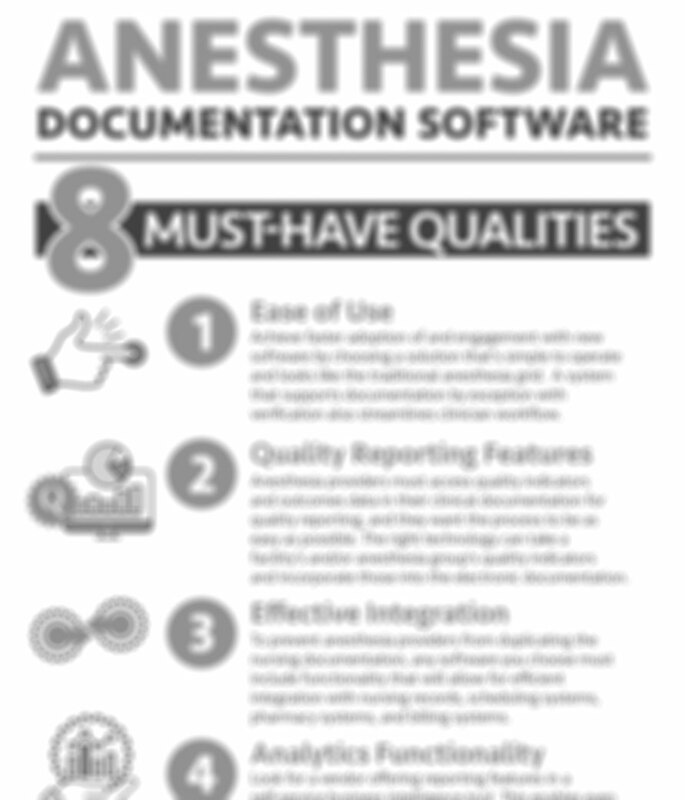 Does Your Anesthesia Software Have the Features Your Anesthesia Providers Need? Working with limited time, anesthesia providers must have a reliable, automated, and intuitive system available that’s also easy for them to use from Preop through Postop. For example, prior to surgery, it’s essential that anesthesia providers have a patient’s record readily available to provide clear information about their medical history, allergies, medications, and more.